Happy Monday! It’s been forever since my last blog post and I’m happy to be back with new content this week. 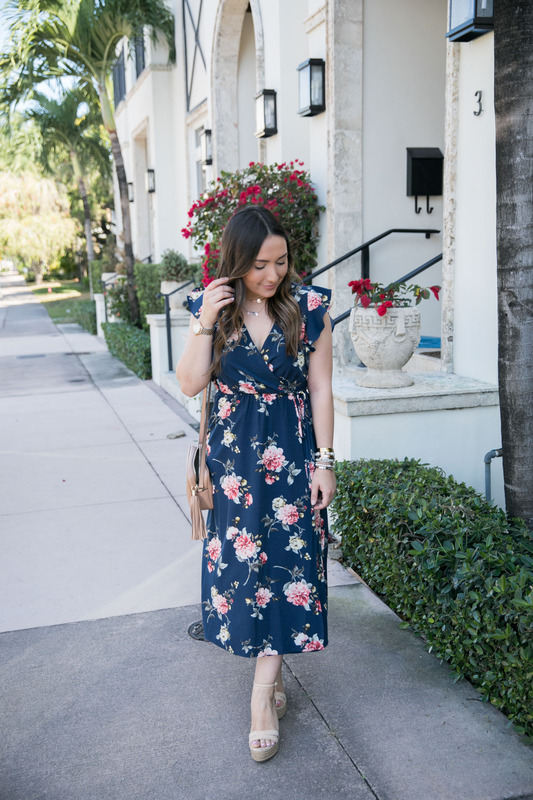 I wanted to share this adorable blue floral dress because I thought it would be perfect for Easter Sunday! The blue is currently sold out but I absolutely love the red (saw it in person!) and am really loving anything floral this season. 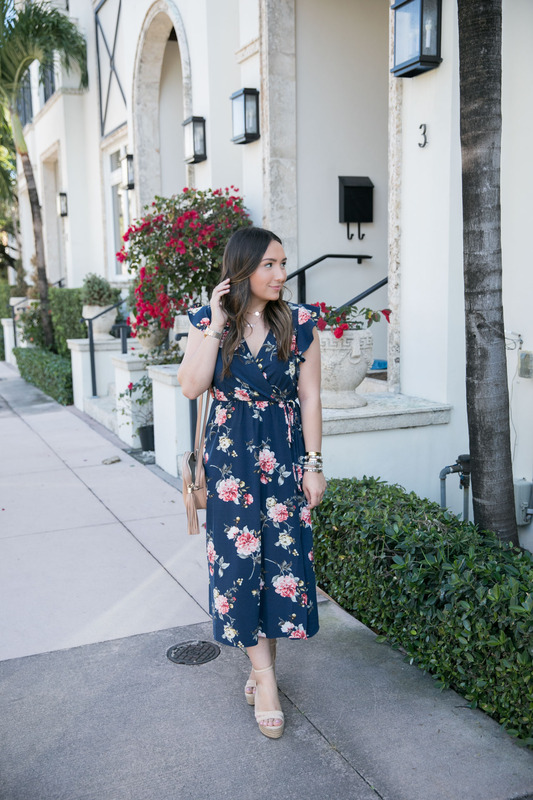 This dress is also perfect for work with some comfortable flats. I love the style of it and know that I’m going to get a lot of use out of it this spring and summer! 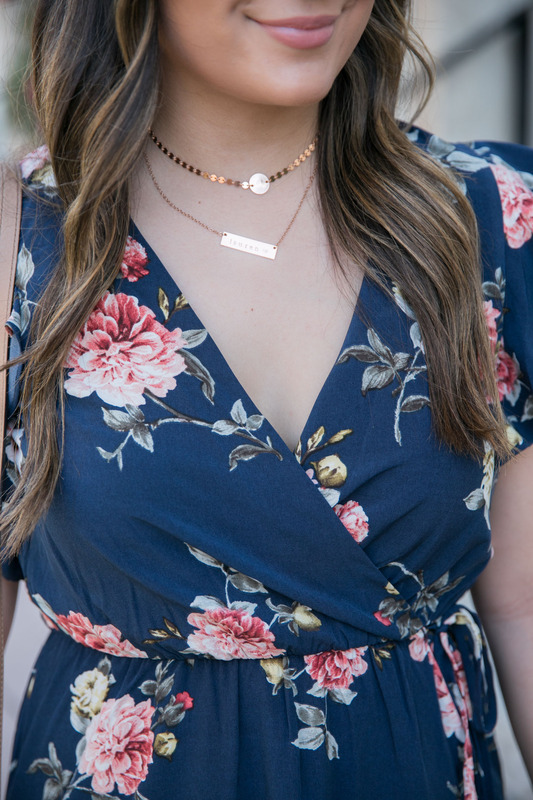 I’m linking several Easter Sunday outfit ideas that I think would be great! We are having family over for a potluck kind of lunch and I’m really excited. It’s the first time we’ve had the entire family back at the house for a party since moving back from NY. What are you guys up to for Easter Sunday (if you observe it)? PS. this dress runs true to size. I’m wearing a medium! Such a pretty dress and perfect for Easter! We are floral obsessed as well right now. I am also loving all of the delicate jewelry you added, adds the perfect touch. We really don’t have any plans for Easter. This dress is perfect for Easter, and navy is such a great color on you! This wrap dress is gorgeous and perfect for Easter- love the colors! 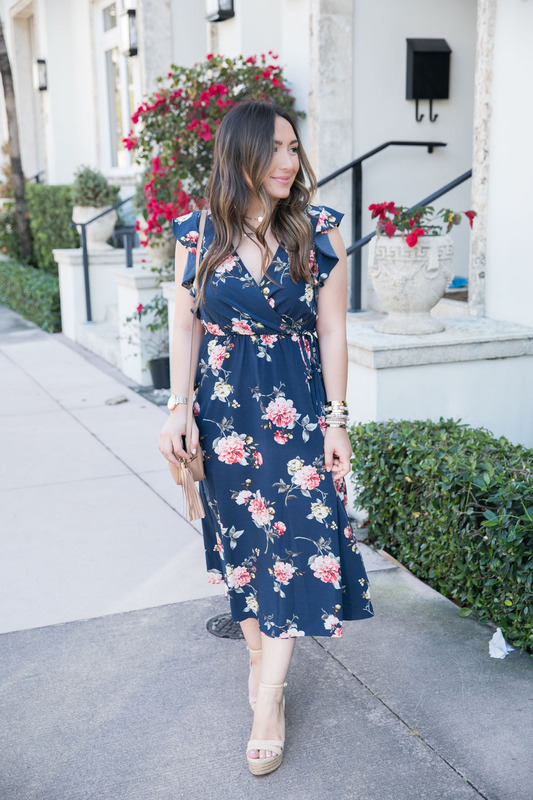 This navy floral dress is gorgeous! It is perfect for Easter and for any Spring occasion! Babe! You look gorg in this dress and your skin looks flawless! Such a pretty dress for Easter! I love the midi length and floral print. This dress is so sweet! Great pick for Easter! Such a perfect floral dress for Easter! It’s so perfect for Easter Sunday!! I think I will be wearing a midi dress that day too! Your dress was so perfect! Love it on you. Looking Always Cute And love your dress.